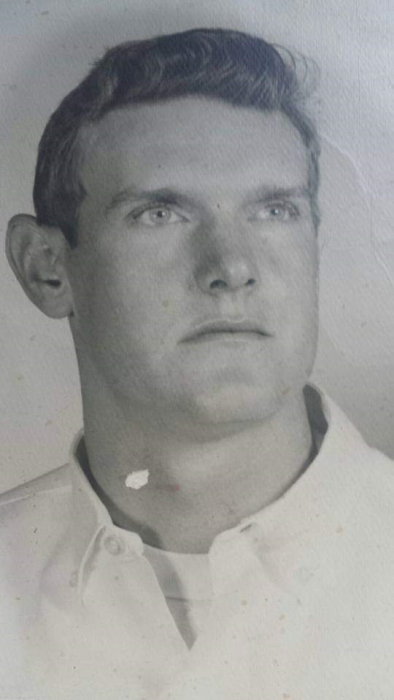 Ronald Floyd “Greasy” York, age 78 of Harrisburg, passed away at 10:45 PM, Tuesday, January 22, 2019 at his residence in Harrisburg. Ronald was born on May 20, 1940 in Harrisburg, to the late Charles and Marjorie (Atkinson) York. He spent a lot of time with his grandparents, Orly Eli and Elizabeth York where he stayed frequently. He married the love on his life Janis Arlene (Nielsen) York on November 23, 1961. Together they have four children, David York, Linda (Chuck) Medlin, Jeff (Amy) York, and Marsha Ann York; four grandchildren, Kalyn (Oscar) Hernandez, Tyler York, Jaci York and Ellie Medlin; and one great grandchild, Camila Hernandez. Ronald was a graduate of Harrisburg High School in 1958, where he played basketball and baseball. He spent a lifetime working at Peabody Eagle #2 Coal Mine, where he retired as a diesel mechanic. Ronald was an avid fan of the Cubs and loved hunting and fishing with his buddy Junior Bishop on the Ohio River. He loved his dogs, Jake and Eli. He especially loved to work in his gardens, where his tomatoes were his pride and joy, and he enjoyed using his tractor. He was very proud of his home that he built with his loving wife, where he loved her fantastic cooking. He was a member of the United Mine Workers Union Local #1601; the Sons of the American Legion, and the Elks. Thanks to many good friends, especially Jack Hetterscheidt, Greg Seagraves and Mickey Pankey for helping him get to the finish line! Dad you will always be loved, remembered, and forever missed by your loving family. A memorial service for Ronald Floyd “Greasy” York will be held at 11:00 AM, Saturday, January 26, 2019 at Reed Funeral Chapel in Harrisburg. Rev. Roy Hughes and Rev. Art Gibbons will officiate, with Elks rites to follow. Visitation will be held from 10 AM until the service hour. Memorial contributions may be made to the Harrisburg Elks Lodge Snowflake Fund and envelopes will be available at the funeral home. Condolences may be sent to the family through the obituary page at www.reedfuneralchapel.com.